Sometimes books from the US about cultural change, evangelism and the Bible don’t translate all that well outside of the US. Matt Chandler’s Take Heart is an exception. It’s a small book that packs an enormous punch and is just so encouraging. 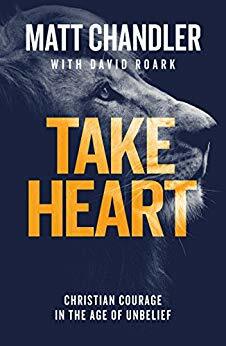 I’d just finished preparing to speak on the subject of ‘courage’ at the Katoomba Christian Convention – when I read Take Heart. I’m kind of glad I hadn’t read it before because I would have been sorely tempted to either just repeat it or tell our Australian brothers and sisters to buy the book and go home! After giving us a succinct, accurate and somewhat brutal analysis of where the West is today (and the different attitudes to culture – convert, condemn or consume) he then goes on to encourage us to live as Christians in this regressive society. Chandler places great emphasis on knowing Jesus, good theology, the church and good practice – especially in the area of hospitality. His principles of hospitality are excellent – welcome, engage, have dinners, love the outsider. I loved his description of evangelism as ‘going to work with Dad’! This pastor from Texas has something to say to the whole church. Take Heart is small, but has depth and power. Highly recommended for any Christian/Church that is feeling a little battered, bruised, discouraged and confused. Take Heart…. 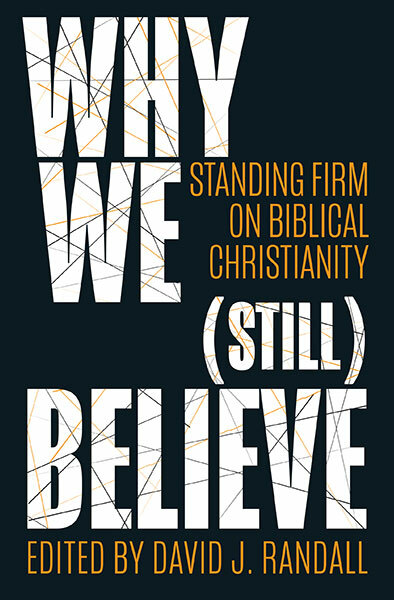 This review was first published in Premier Christianity magazine. Here are some further quotes from the book. Highly recommended. Saint Augustine, the fourth-century bishop of Hippo, said that to be human is to have your face pushed up against a stained-glass window. You see some color, but you see a lot of glass fragments. It is only given to God and those who are with him to be back far enough to see the whole window. To put it differently, to tell God the Father that he should do things differently is to step into a three-hour-long movie for two seconds, and then step back out and lecture the director on the storyline. That’s what it’s like. You just don’t know, and he— the fountain of life— does. We have too big a view of ourselves and too small a view of God. Yet it’s an attribute that, when we know it, consider it, and believe it, will give us courage in this age of unbelief: it’s the understanding that God is a warrior. This attribute of God has almost completely vanished today— when did you last hear a sermon on the warrior nature of our God? When we think about God, we tend to think about Nickelodeon, not HBO— about Disney, not Dunkirk. Without realizing it, we can end up with a Tinker Bell Jesus, who has a bag of pixie dust and all he does is sprinkle us with blessings. He never gets upset about anything. You can’t do anything wrong. His sprinkle dust is there to help you understand that, yes, you really are amazing. Courage leads to holiness which leads to integrity. Courage gives us the ability, in this age of unbelief, to speak positively and seek unity, to love those who disagree with us and seek to malign us, to be unsurprised and not angered when a society that rejects Christ does not line up its laws with those of Christ— and to keep on loving and seeking to bless. Here’s what: when we talk about our lives and our responses and what it means to be courageous and faithful in the age of unbelief, we have to talk about the Great Commission. That’s our mission. That’s the Christian life. Everything we do comes back to that. And remember, according to 1 Peter, one thing courage looks like, along with holy integrity and devotion, is evangelism. Which means— in all times and places, but perhaps particularly in this age of unbelief— courage is going to look like hospitality.